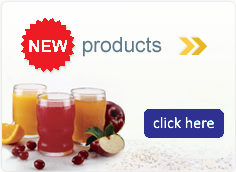 GlutaSolve® is a glutamine-intensive nutritional supplement designed for conditions associated with gastrointestinal (GI) injury or disease. Glutamine, the key ingredient, is the preferred amino acid fuel source for the GI tract and is recognized to play an important role in GI health. 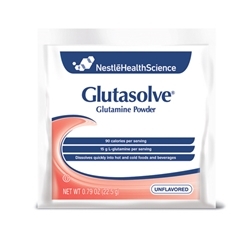 Each serving of GlutaSolve® contains 15 grams of L-glutamine, mixes easily with water, or can be mixed with foods like yogurt, applesauce or puddings. Oral: Mix single serving packet into favorite beverage. Stir well and consume immediately after mixing. 1 serving = 22.5 g powder in 120 mL. Final volume is 136 mL. Tube Feeding: Mix single serving packet with 2-4 oz (60-120 mL) warm water. Infuse immediately via syringe into feeding tube.